Throughout the next 40 days of Lent, the church music ministry is filled with a plethora of engagements for all to enjoy. Our next Travelogue is scheduled for Feb. 24, when Dale and Martie Main will take us on a German Reformation tour. Come, ready to eat Schnitzel and Noodles, Bavarian Pretzels, and some Wurst! I also would love to call your attention to our Lenten Recital Series. We open our series on Feb. 21st with Chaz Bowers, Director of Music at St. Bernard’s Catholic Church, Mt. Lebanon. Chaz is an active recitalist, professor of music at Seton Hill, and is an all-around great guy! The chancel choir will also be continuing the tradition of joining St. James Catholic Church in presenting Dubois’ The Seven Last Words of Christ on Palm Sunday, March 25 7:00 at CUMC, and then again at noon on Good Friday, March 30 at St. James, Sewickley. We will be making, baking, freezing, and fixing pepperoni rolls several days throughout April. If you are kitchen-savvy, or have other skills (marketing, budgeting, organization, or ANYTHING else that could possibly be needed to do something like this!!!) please reach out and let me know you are interested in helping out. At the very least, be ready to buy some rolls! These are not your standard pepperoni roll— they are over-filled with pepperoni, two kinds of cheese, and some special ingredients. (Top-Secret!) Each roll can be sliced into 12-14 decent sized slices, and will be sold for $8.00 or, 3 for $20.00. 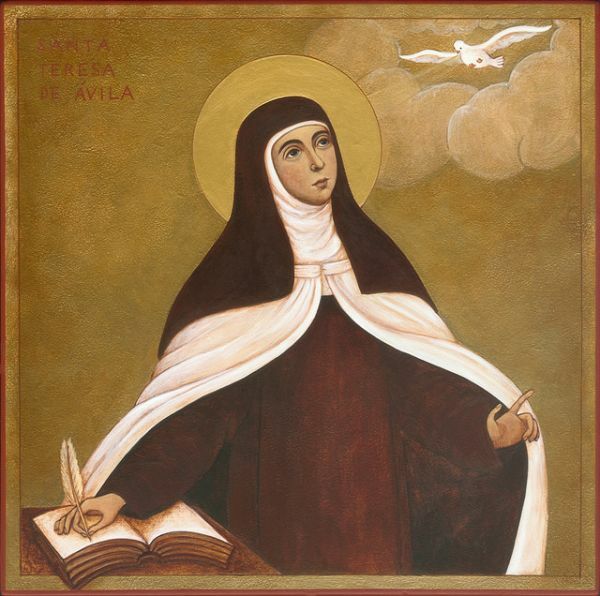 It is my prayer that throughout Lent, we can find some time to remember the lyrics to “Nada te turbe,” and to meditate upon the words penned by St. Teresa over 500 years ago.